Will all types of locks give high security level of protection to your business property on the off chance that you as the owner are the only person with a key that will access the property? As most of you can guess, the answer to such question is no. High security locks and keys type systems are just made with extra security measures set up to diminish the danger of lock picking, key duplication, and other forms of security hazards. 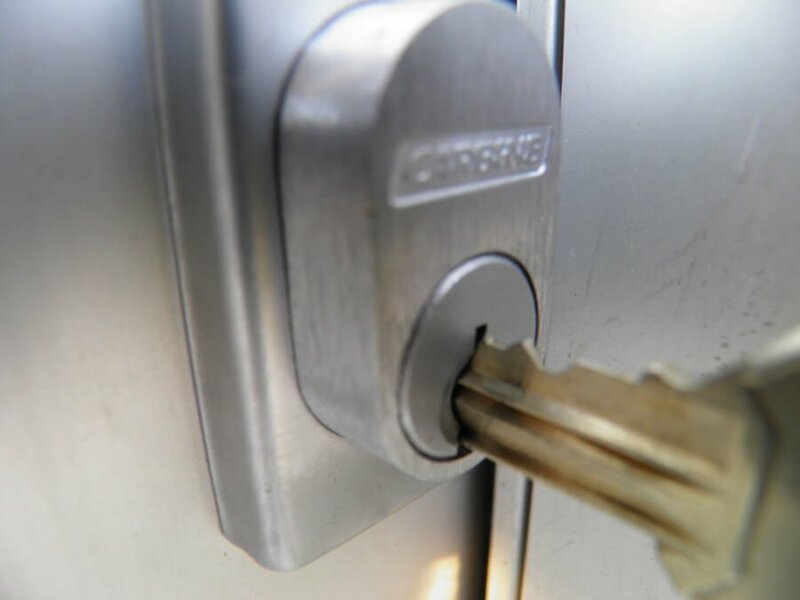 Safeguarding your business property using high security locks is achievable in many ways as a locksmith Spokane can explain. There are many elements of high security locks and keys that set them apart from other types of locks available in the market. While most locksmith Spokane utilize a standard key making machine for such high security locks, a high security key will be made similarly, yet most of the time will have additional features for enhanced security. If you ever paid attention to the keys on your key ring, you would notice that some of them may have more cuts than others or some of them may even look much different. 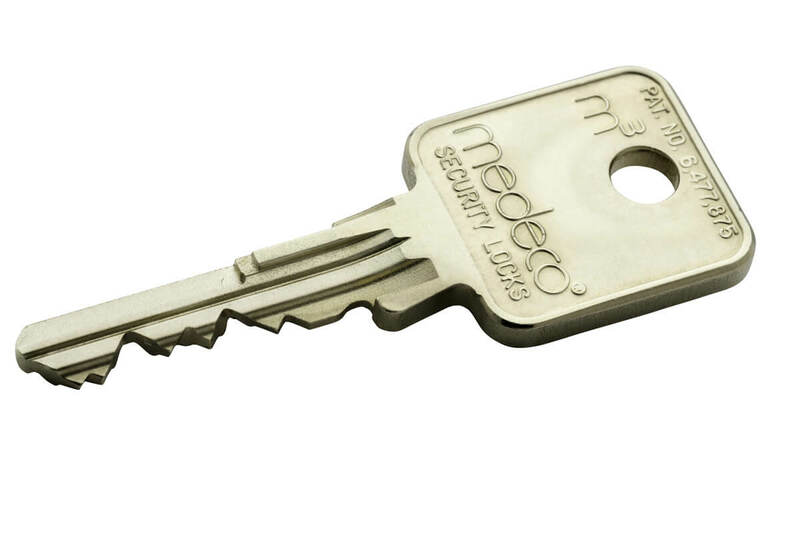 Traditional keys normally will have 5 cuts to accommodate a standard lock with 5 pins inside of its cylinder. Some high security keys will have 6 cuts to accommodate 6 pins inside of high security locks cylinders. More advance high security locks and keys will have even more complex cylinder system to accommodate side cut on a high security key similar to a vehicle’s laser cut key. Those types of keys a commercial locksmith Spokane will not be able to make as these come pre-cut from the manufacturer along with the high security lock. Here at locksmith Spokane, the means we take to construct our high security locks and keys are characteristic of the increased security offered to our clients. To begin with, just licensed Spokane locksmith has the access and authorization required to successfully design high security lock and key systems which include special equipment and accounts with the leading commercial lock brands in the business such as Yale, Medeco and others. Secondly, in order to protect our clients from unauthorized duplication, we do not make any duplicates before making actually selling the high security locks. In order for such goal to be achieved, locks are sent to a certified locksmith Spokane without any pins inside the cylinder. Once a customer makes an order for high security locks, the pins will be designed along with a matching high security key. Third, to have a copy made for the keys, the person who made the order for the high security locks would need to go back to the same Spokane locksmith who designed the locks in order to have extra keys made. This gives every business property owner full control over the accessibility to the property. Additionally, for a business that is looking for complete key control, some options are available for unique modifications to ensure no duplicates will be made for keys that are part of a high security lock system. This include implementing a master key system as well. Here at locksmith Spokane are aware of the fact that many business property owners desire to have the highest level of security for a low cost and we will work hard to make it possible. On the off chance that you are in the market for high security locks for your business property, a Spokane locksmith company will be able to provide you with a solution for an affordable price.